From 2001 to 2012 United® Cutlery produced a beloved collection of more than 50 licensed weapon, helm and prop replicas from the successful The Lord of the Rings trilogy, and we are proudly continuing that line with replicas of weapons and arms from director Peter Jackson's highly anticipated films The Hobbit: An Unexpected Journey and The Hobbit: There and Back Again, productions of New Line Cinema and Metro-Goldwyn-Mayer (MGM). The line will consist of Dwarven and Elven weapons and arms replicas, along with signature icons, such as the Staff of Gandalf, Sting, and the legendary sword of Thorin Oakenshield, Orcrist. Each collectible will be exactly replicated from the actual film props created by Weta Workshop for the film production. Sting and Orcrist will lead off the line, which will be released in late 2012. "We are thrilled to return to Middle-earth and continue our partnership with Warner Bros," said Clint Kadel, CEO and owner of United Cutlery. 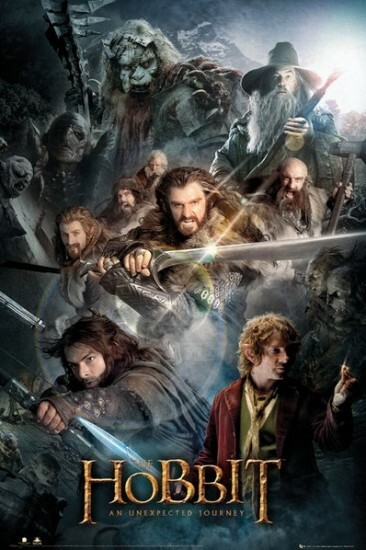 "With Peter Jackson at the helm, the two films based on The Hobbit™ are sure to be a hit. We are very excited to have the opportunity to give the fans a line of collectibles they will love, while at the same time creating a consistent extension of our The Lord of the Rings line." United Cutlery is distinguished as the world leader in movie prop and video game replicas, fantasy collectibles, traditional samurai swords, the most innovative sport and tactical knives in the field and our unique designer line of knives and swords from Kit Rae and Gil Hibben. Nearly thirty years ago United brought together a combined team of dedicated experts in design, manufacturing and sales with one goal - to make the best knives, swords and collectibles on the planet. Often imitated, but never exceeded, we strive to make our products to the highest standards in the industry, with superior value, quality and performance! The United licensed replica philosophy is simple - to create the most accurate and visually stunning replica possible using modern materials and production methods, but at a price the average person can afford. We consider our licensed replicas heirlooms that fans will cherish for many years, as a fond memory of the world created in the property. We strive for accuracy not only in exactly replicating the film props or game designs, but in replicating the exact look as seen in the property. This includes weathering and distressing effects to accurately produce the worn and well used appearance some replicas require to satisfy collectors. Our other film licenses include the The Expendables, The Lord of the Rings, GI Joe, Indiana Jones, Highlander, Hellboy, the Rambo films, the Blade films, Terminator 2, Total Recall, Mortal Kombat , The Mask of Zorro and the Heroes television series. Our video game replicas include God of War, Devil May Cry and Darksiders.